This recipe is so simple that anyone can make them. In fact, my oldest son, Bus Boy, made them in a crock-pot for our Christmas Eve party. 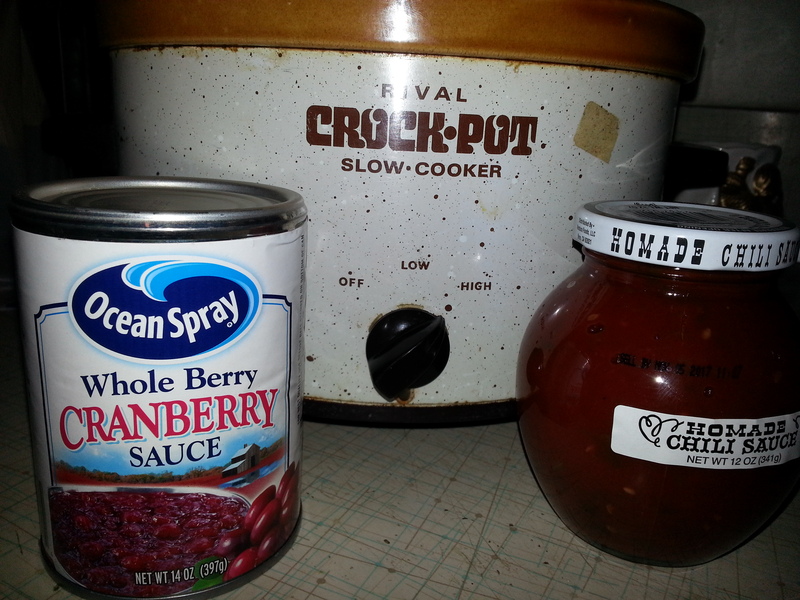 All you need is two pounds of frozen meatballs, a 14 ounce can of whole berry cranberry sauce, a 12 ounce jar of your favorite chili sauce, and a slow cooker. This slow cooker was a yard sale find that Bus Boy was adamant that he needed, so he can cook good food when he moves away. 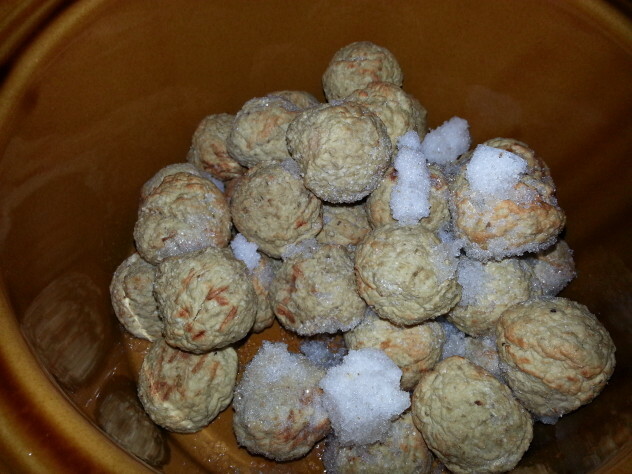 Pour the frozen meatballs into the slow cooker. These meatballs look freezer burned, but Bus Boy and I picked them up at the store the day these photos were taken. They tasted fine. Pour the cranberries and the chili sauce on top. If you like, you can add about 1/2 cup of water to the chili sauce jar and dump it into the slow cooker. This is particularly helpful if you are cooking them on high heat as they tend to finish with a drier consistency. Turn the the slow cooker to low and let it cook all day if you’ve planned ahead for party time, or turn it to high for about two to three hours. I suggest that you return to the slow cooker and stir things around a bit about 1/4 of the way through the cooking time, but if you can’t, just give it a good stirring at the end, to ensure that all of the meatballs are equally coated. Baker’s Man says it makes more sense to him to mix it all together before turning it on, and he may have a point, but don’t tell him I said so. 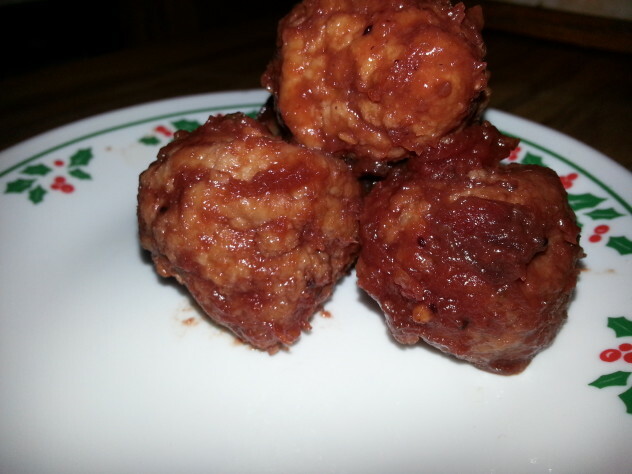 However you choose to mix them up, put the three ingredient’s into the pot, turn it on, wait a while, and you will have a pot full of delicious meatballs with a sweet and tangy, cranberry style barbecue sauce on them that are sure to please your guests. I usually serve these straight from the slow cooker with a box toothpicks to eat them without dirtying your fingers, but the leftovers, on the rare occasions when there are leftovers, have been known to make their way onto barbecued meatball sandwiches. The meatballs are really good that way, too. FYI, the old school yard sale Rival Crock Pot slow cooker still worked perfectly. I was amazed. Bus Boy was right. It did help him make good food. 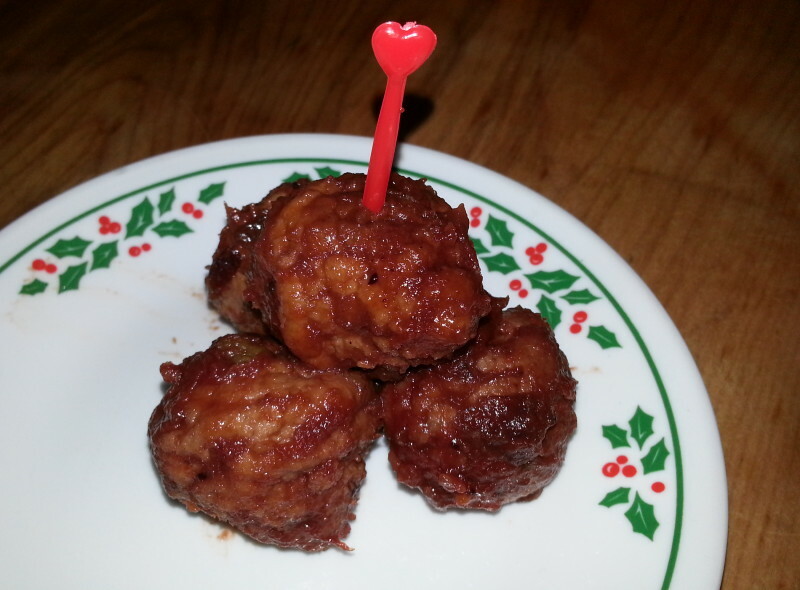 These 3 ingredient slow cooker meatballs are simple and delicious. You really need to give them a try. Thanks for visiting Patty Cake’s Pantry where we wish you a safe and Happy New Year. 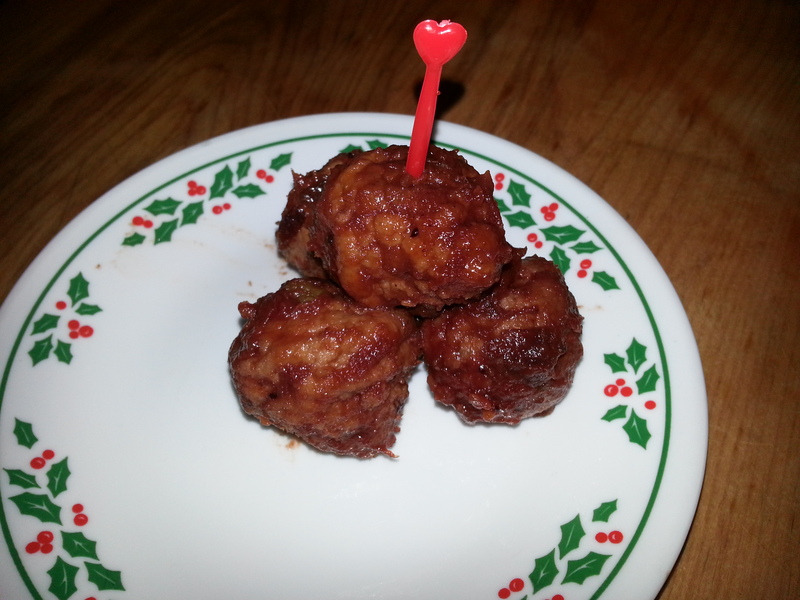 These meatballs are always a hit at our get togethers and people often request them. They are so simple to prepare that I'm always willing to make them. If you will be cooking these on high heat, add ½ cup water to the chili sauce jar to rinse it out and add this to the slow cooker. Cover pot and cook on low heat for 4-6 hours and high heat for 2-3 hours.